Nathan J. Winograd (San Clemente, CA), a graduate of Stanford Law School and former criminal prosecutor, is director of the national No Kill Advocacy Center. This is his first book. Nathan J. Winograd is the director of the No Kill Advocacy Center. His work has been featured in Reader's Digest, USA Today, Cat Fancy, and Best Friends, andnewspapers from all over the country. Nathan J. Winograd is the Director of the national No Kill Advocacy Center. He is a graduate of Stanford Law School, a former criminal prosecutor and corporate attorney, was director of operations for the San Francisco SPCA and executive director of the Tompkins County SPCA, two of the most successful shelters in the nation. 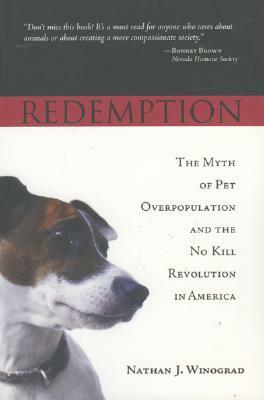 He has spoken nationally and internationally on animal sheltering issues, has written animal protection legislation at the state and national level, has created successful No Kill programs in both urban and rural communities, and has consulted with a wide range of animal protection groups including some of the largest and best known in the nation."